Designed before the Mk. IX, but following it into service because its radical design changes would have meant production delays when time was of the essence, the Spitfire Mk. Vlll was in fact a non-pressurised version of the Mk. VII designed for low altitude combat (see SQUADRONS! No. 6). At the outset it was the designated successor to the Mk. V, the replacement of which was planned from 1943 onwards but when it became available the Mk. IX had recently entered service with Fighter Command and appeared to have a bright future. Therefore, the RAF decided to retain the Mk. VIII for overseas theatres – the Mediterranean, Far East and the Pacific – where the replacement of the Spitfire Mk. V had become a necessity. One fourth of the production will reach the Southwest Pacific, and this volume focuses on the usage made by the three RAAF squadrons, Nos. 79, 452 and 457. Close to seventy photographs (including three in colour) and eight colour profiles. 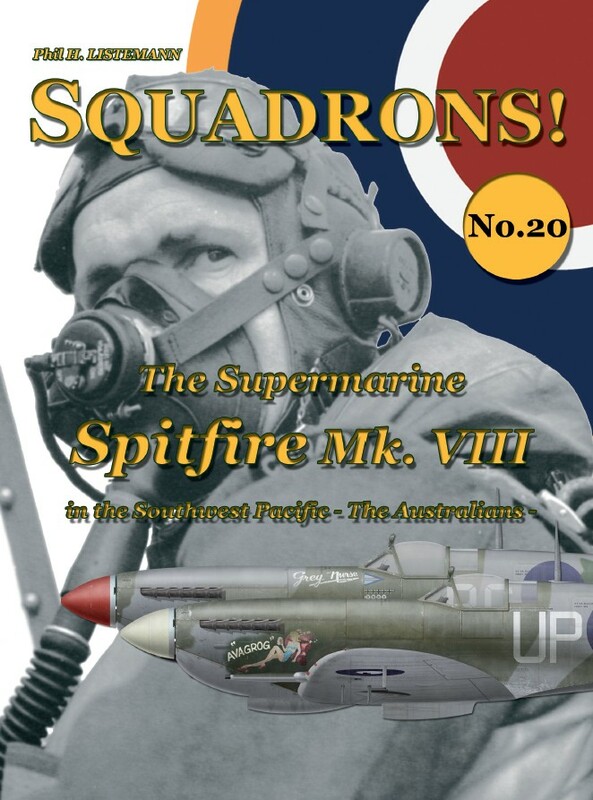 The story of the British squadrons in the SWPac is told in SQUADRONS! No. 14. Available as a paperback version as 979-1096490-08-0.